Just wanted to take the opportunity to tell you about our first speed learning session last night, Wednesday Feb 2nd with the Wakatipu Lions Queenstown. Together with 9 adult educators Judy and I met at the Goldfields Hotel on Frankton Road here in Queenstown. 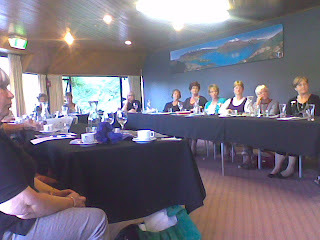 The Wakatipu Lions had their monthly meeting and we were invited to hold our first speed learning session with them. 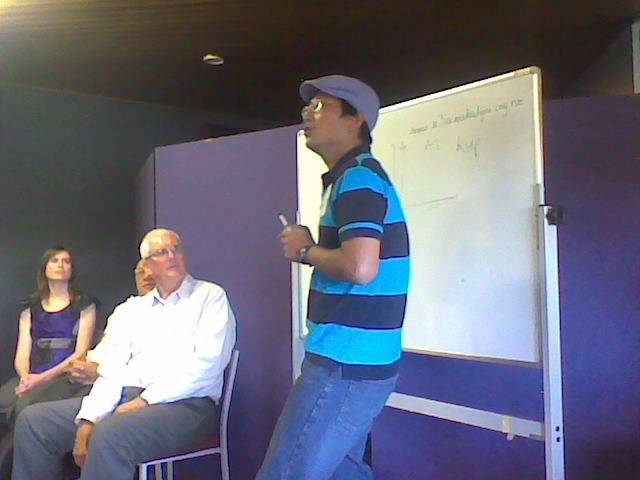 We had Brian Sproull from Southern First Aid, Russell Taylor from the IRD, Fiona Boyer from the Queenstown Resort College, Julia Shallcrass from Janet Copland Law, Peter Waaka from School of Thought, Bill Dolan from the U3A Wakatipu, Zea, who is a Thai language teacher, Emily Rutherford, a qualified Zumba instructor and myself representing Southern Reap. After a short introduction of ACE Wakatipu through Judy and myself to the approximately 25/30 Lions that were present, the Speed Learning session began. Every tutor had 5 Minutes to teach/present something specific to their area of expertese or tell them about their company/themselves or make them aware of courses that were currently running. A gong after 5 Minutes finished each session and as you can see from the list of instructors above – and the pics below. Great information got presented in quite different ways, ideal for any type of learner from the visual to the audio to the tactile learner, there was something there for everyone. Fun and informative, to sum it up. 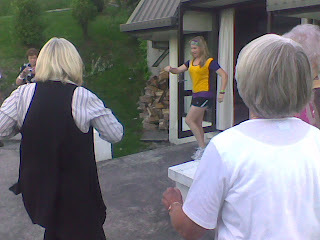 In the end we got introduced to the the Wakatipu Lions and what they do. A potatoe race combined with a very spontaneous fundraiser demonstrated Lions work in the community. I want to thank the Wakatipu Lions for having us and also a big thank you to the tutors who showed up and taught us something new. We have got our next (the very first for the year) ACE Network meeting on Wednesday, February 16th from 10am to 12pm. Further Speed learning sessions will be discussed as well as having a great chance for you tutors again to network and get your message out there.